A few months ago a young lady emailed us asking for help. She is very young and beautiful. She was having a pretty normal life until a severe brain stroke that turned her life upside down. The young lady had to practically start moving anew. 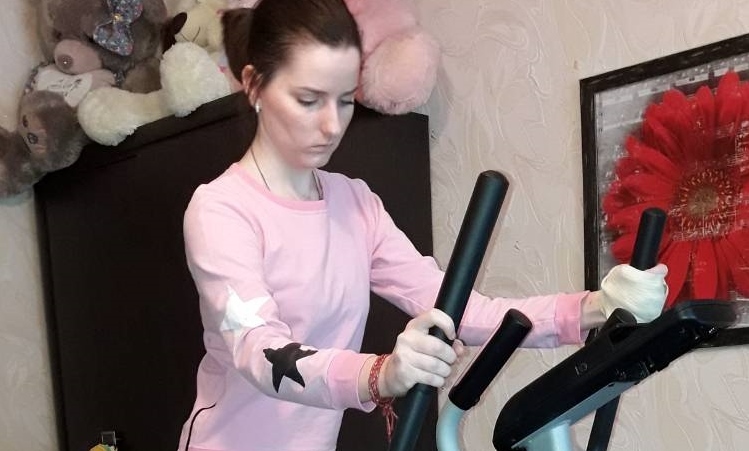 Having had a few surgeries, specialized therapies and many rehab sessions, she achieved good results, but now the next step was to get stronger and for that she needed some special equipment, which was kindly sponsored by Burren Chernobyl Project. With sincere gratitude, Victoria and the entire Komarov family. We are very happy to know that this will change this young lady’s life for the better!